You might be wondering why choose EcoWater over another water softener company in Calgary? EcoWater is one of the premium manufacturers of water treatment in the world. Not just North America! They are the largest and the oldest being founded in 1925. The history of the company is always on product research and development. The water softeners at EcoWater are the most efficient on the market today, using patented technology to use the least amount of salt to soften your water. Our line of water softeners, water conditioners, refiners and water filters are the most innovative, highest-quality products on the market. Guaranteed to provide, conditioned, clean water for you and your family! What makes EcoWater different and better than a lot of the other products out there? Smart intelligence and quality . 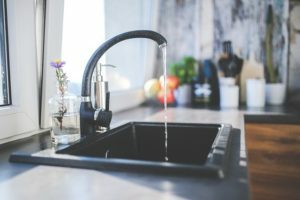 All water softeners are designed to soften your water, remove calcium and magnesium out of it put sodium and potassium in its place and therefore you have soft-acting water in your home. EcoWater operates on a totally different level and platform in terms of determining when to do a regeneration and also how to regenerate it. How you determine to do a regeneration and how you regenerate a unit really starts to differentiate the units based efficiency, so salt and water usage. calgary and area, clean water, EcoWater, water softener. Bookmark.